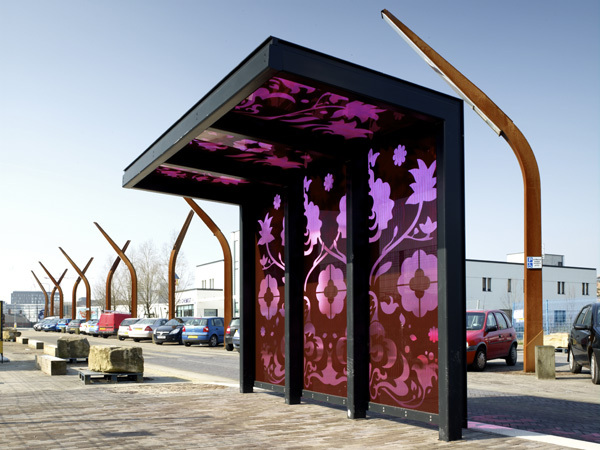 The bus shelters on Old Mill Street, Manchester, deploy distinctive patterning and colouration to mark the stops as distinctive and individual destinations. As part of Old Mill Streets shared space, the both address issues of accessibility while contributing to the distinctive street scape. 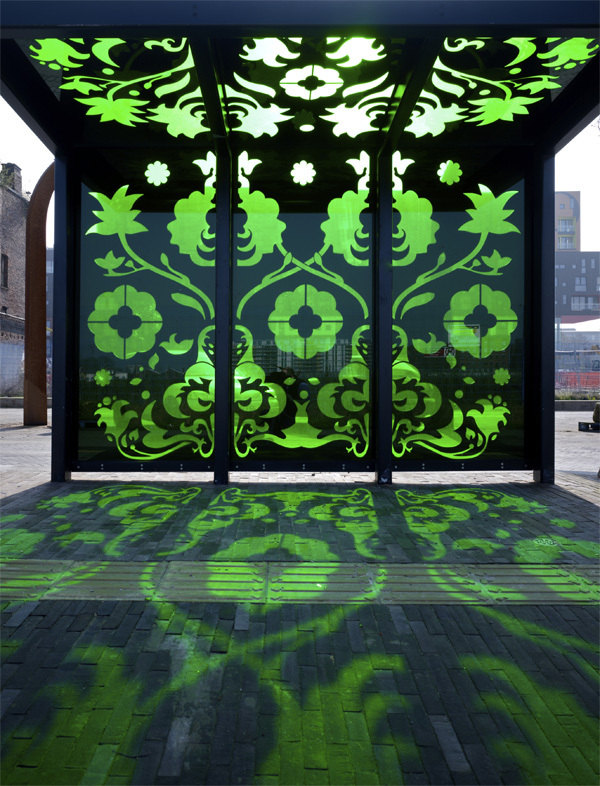 Lasercut steel panels sandwich coloured glass, green to one side of the street, pink to the other. 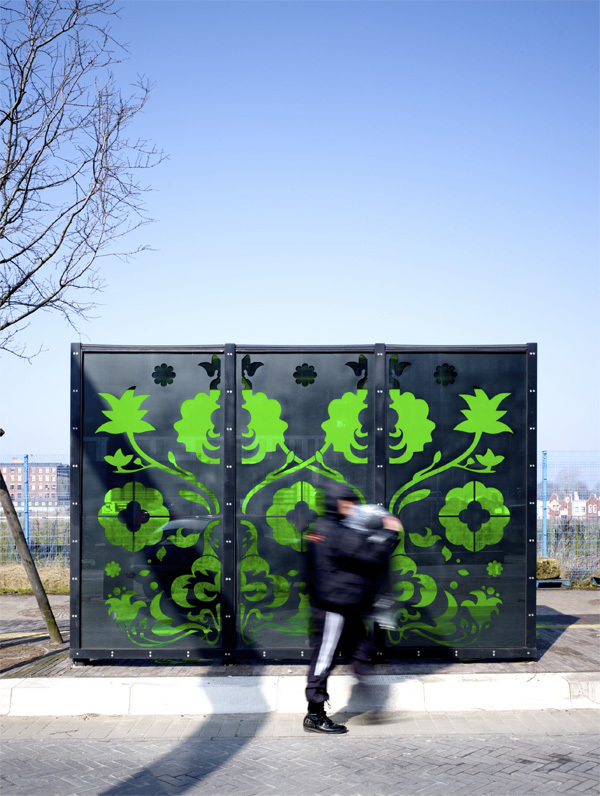 As light falls though these panels it generates atmospheric effects of colour an pattern, transforming the everyday activity of waiting for a bus into a richer experience. 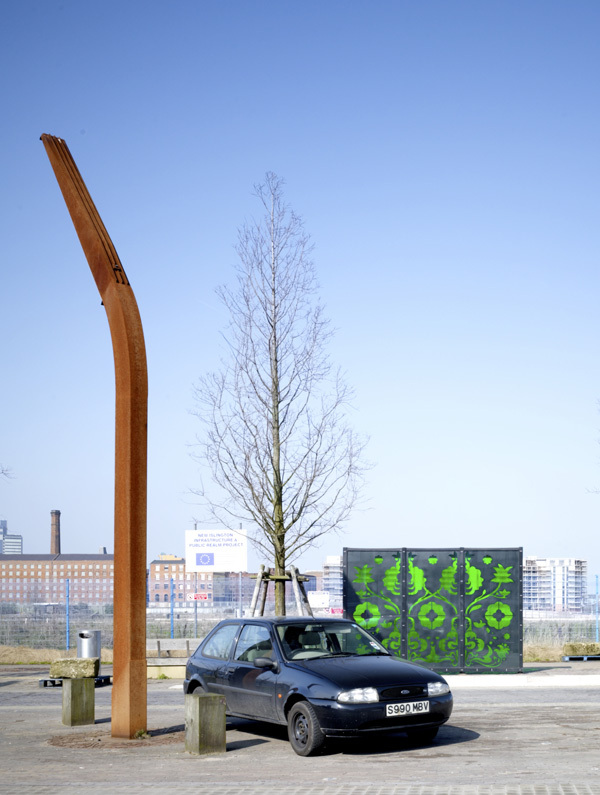 The shelters were designed after winning a competition run by Urban Splash in collaboration with GMPTE, Manchesters transport authority.